As posted previously, the Mt Rosea working bee is on this weekend. The working bee is to get the work done in the climber managed area in order for Rosea to be opened. Parks Victoria and VicRoads are handlling their side of things and the rest is up to us. I would like to be at Rosea carpark at about 9am so will need to meet earlier. The roads in are gated and we will have a key to let ourselves in and out. This means we will all need to go in together and out together. As the lower Silverband road is out of action we will be coming in the long way. Access to this area is along the Stony creek Road from Glenelg River Road to Rosea track. There is a gate so park in the general area and meet there. We can then car pool if needed. Meet here at 8.30am and the plan is to leave 4-5 pm dependant on work completed. Please wear closed toe shoes, and if you are able bring some gloves to protect your hands from any rock carrying and branch/tree clearing. Bring water, lunch and also dress warm as Rosea is known to be cool if its not a sunny day. 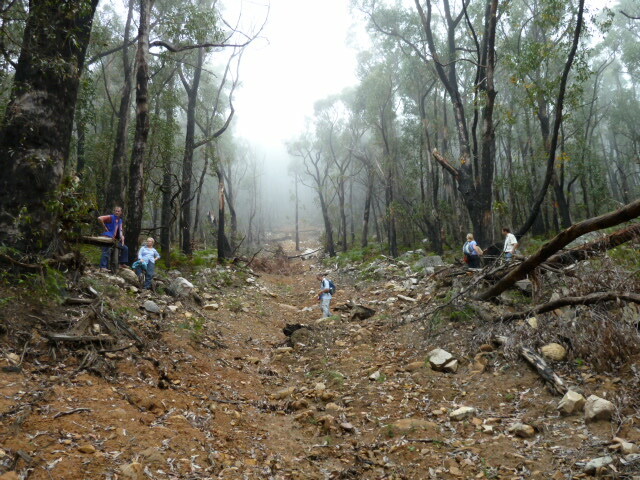 This entry was posted in Grampians and tagged grampians, mt rosea, reopenings, volunteers erosion by Tracey. Bookmark the permalink.